Google has attempted to make Android 5.0 secure and easy to use with its smart lock feature, which can be used in three ways. Users can set up face lock, which unlocks a device after detecting a “trusted face,” by accessing Settings > Security > Smart lock > Trusted face. Users can also set up “trusted devices,” which will unlock a device when it is paired with a designated Bluetooth device, by accessing Settings > Security > Smart lock > Trusted device. But what’s most impressive is users can now set up “trusted places,” which unlocks a device after detecting designated locations through Google Maps, by accessing Settings > Security > Smart lock > Trusted places. 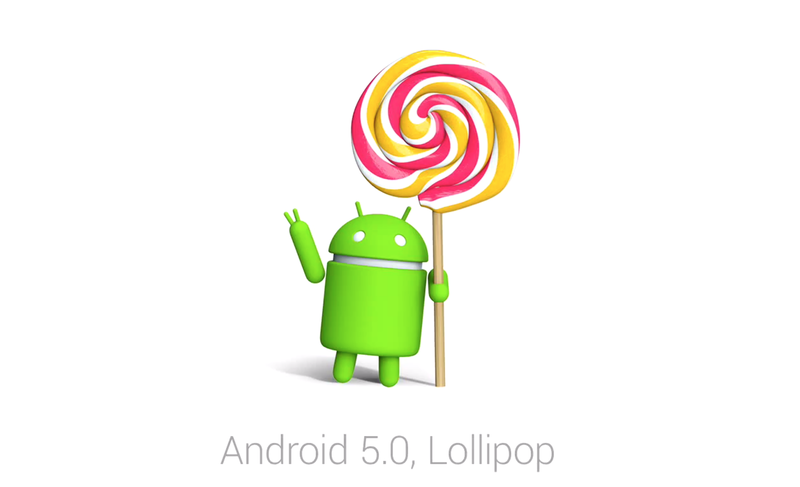 Android 5.0 Lollipop users will receive the new feature automatically through Google Play Services; however, those who are savvy and install trusted places manually. Users must keep in mind that location services will need to remain on to use the trusted devices feature. To implement smart lock, users must also have their device’s screen lock set to any lock option except swipe to unlock. The Material Design user interface has been as lauded and simple and beautiful, and makes Android 5.0 feel like you’re flipping through a notebook. One especially nifty feature of Android 5.0 and Material Design is the enhanced notifications set up, which displays new notifications in a tile format, from the pull down menu as well as on the lock screen. However, if you have a busy phone and all of your notification settings turned on, your pull down menu or lock screen can start to look like a crowded email inbox. But Google has implemented settings for users to control which applications can send notifications and which can’t. In order to change the notifications status on an app, users must go to Settings > Sound & notification > App notifications, and select the app for which they would like to stop notifications. Then select block. Users can take a shortcut to this action by long pressing the a notification from the app they wish to block and accessing the Settings cog that appears, which will take them directly to notification setting for that app. The shortcut can be accessed from the drop down menu as well as on the lock screen. When Google releases a new operating system wonky connectivity is almost expected. So its not surprising that some users have reported Wi-Fi failures with Android 5.0; including extremely slow connections, Wi-Fi dropping constantly or simply failing to connect at all. Nexus 5 users in particular have had issues starting or maintaining Wi-Fi connections while running Android 5.0. Though Google will likely soon send out many patch updates to address a number of issues, there are many steps users can take to try and resolve these issues on their own. Most simple is users can reconnect to their Wi-Fi network by long pressing the network in Wi-Fi settings and selecting forget network. This will allow users to reconnect to the network as if doing so for the first time. Another simple option is users’ shutting off both their smartphone and Wi-Fi router and booting them up again. Gizmodo notes that the issue with Wi-Fi could come from out-of-date third party apps being incompatible with Android 5.0; so deleting some old apps could also help a user figure out the source of the issue. Users should keep in mind that as devices update to Android 5.0 many applications must also be optimized for the new system. Users can also go back to an older version of Android that doesn’t have this issue. A more tedious but coincide method of doing so is factory resetting a device, which will make the device as if it were just purchased. More savvy users can get old factory image codes from Google’s developer website and reinstall and older Android version. With either method, users should be sure to back up their device before proceeding. Finally, savvy users can change the channel of their Wi-Fi frequency, as the part of the issue could be that there are too many other devices on the same channel as an Android 5.0 powered device, slowing down the overall Wi-Fi connection. ← The Father of video games passes away aged 92.